Sculpture in Stone (MFA), no. 114; Sculpture in Stone and Bronze (MFA), p. 109 (additional published references). A woman advances with two torches. 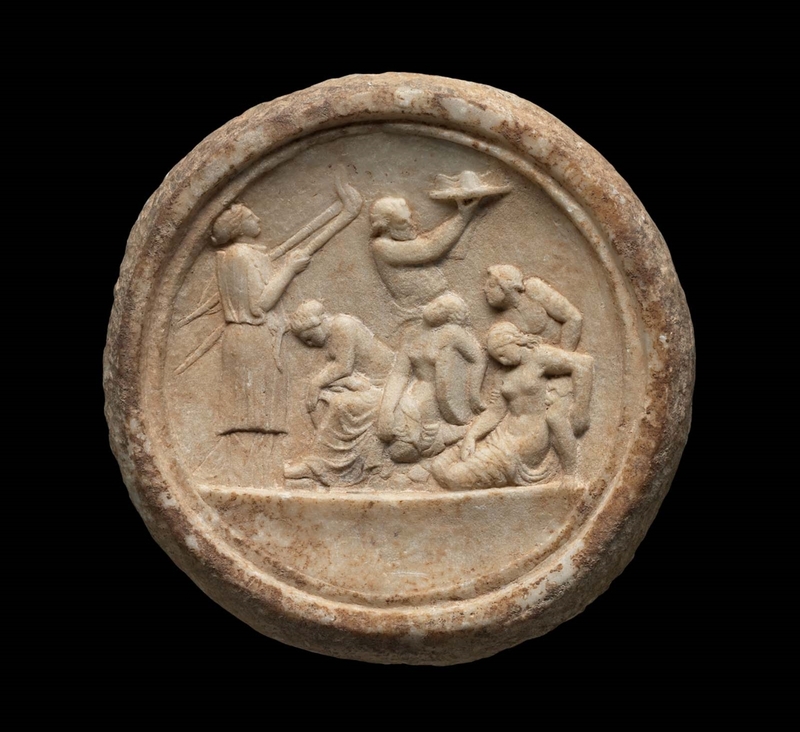 Three partly draped women are swooning in ecstasy: the two at the left and center seated on a rock, the latter holding a tympanon under her left arm. The woman at the right, on her knees on the ground, is supported by an elderly man. Behind the central figure, a fat man advances to the right, holding up the liknon, a winnowing fan filled with fruit and a symbolic phallus. The exergue is divided by the groundline, and the depth of relief diminishes noticeably toward the molding of the tondo. 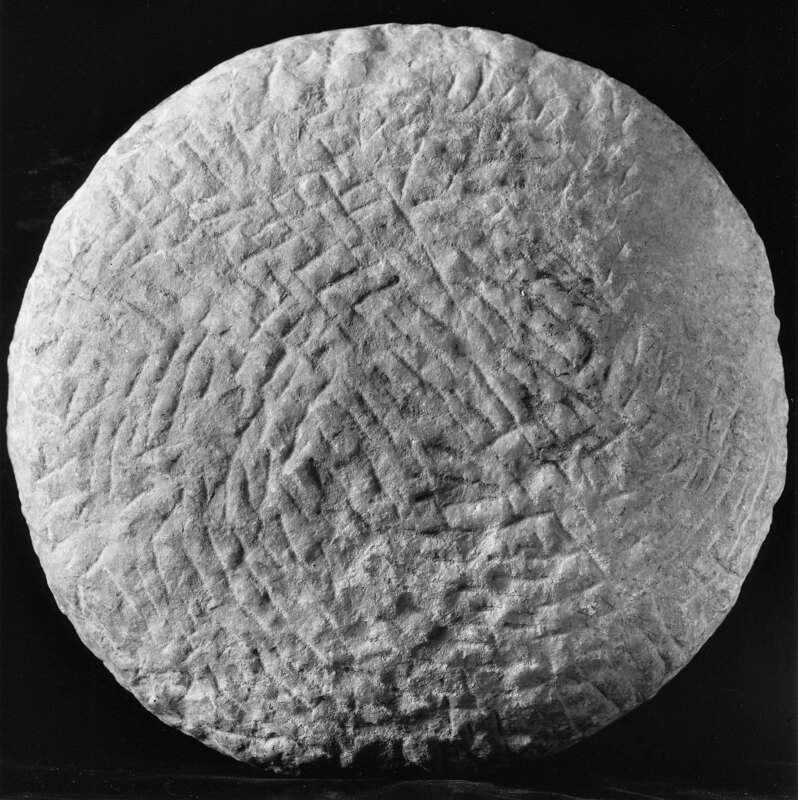 The back of the disk is curved outward toward the center and is roughly carved.The figures are slightly damaged and rubbed here and there. There is some discoloration and a pleasing yellow patina. This relief was evidently made to be let in a wall, of a colonnade, a tomb, or a shop façade. Harvard Lab No. HI758: Isotope ratios - delta13C +3.02 / delta18O -7.83, Attribution - Pentelikon, Justification - White, fine grained marble.